A padded bench makes a lovely addition to any room of the house and also provides a nice seating area and a place to store items to keep things organized and neat. 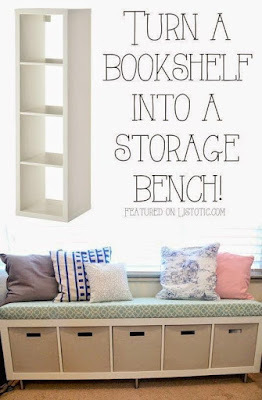 The Listotic website provides a link that will take you to a detailed tutorial on how to make this beautiful storage bench. This storage bench is the perfect piece of furniture for any kids bedroom or playroom.